Welcome back to our strain review series. Each episode we take a look at a brand new cannabis strain and discover details on its appearance, smell, taste and effects. 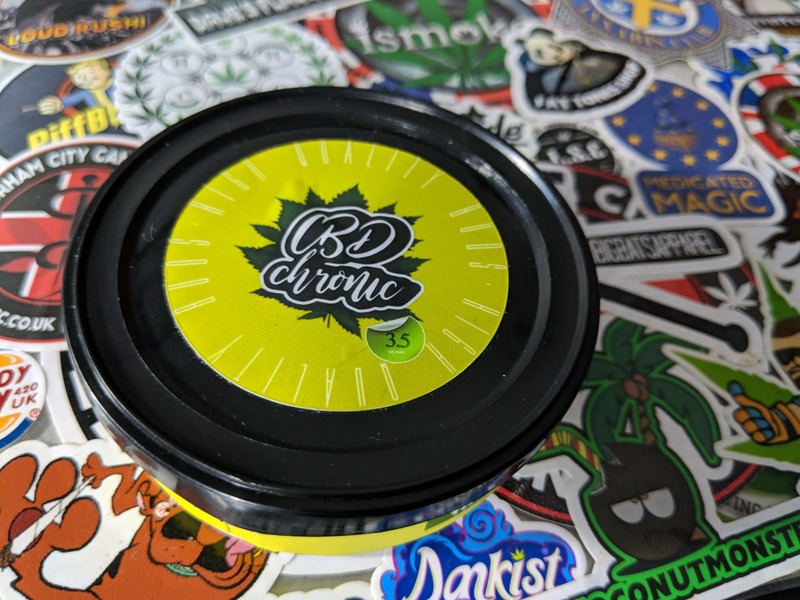 This week we have another channel first, reviewing a tin containing CBD-rich cannabis by CBD Chronic. CBD Lemoncello is 15% CBD and 0.39% THC, putting it just above the legal requirements to be defined as hemp within the EU (which sits at 0.2%). Opening the can of CBD Lemoncello is similar to cracking open a can of Cali – inside the tin is 3.5g of flowers. 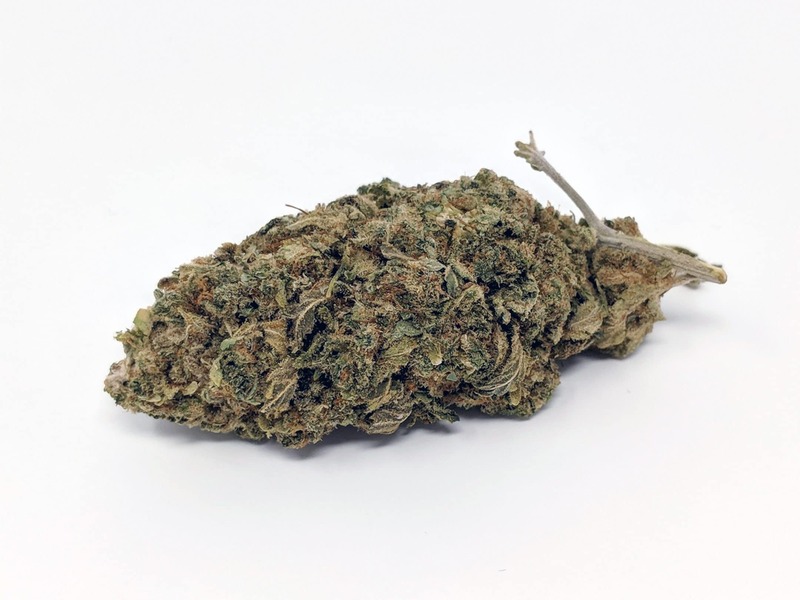 The bud itself is of good quality – the nug is nicely developed and has good, albeit solid, colouration, owing to fewer trichomes than this flower’s THC-rich equivalents. 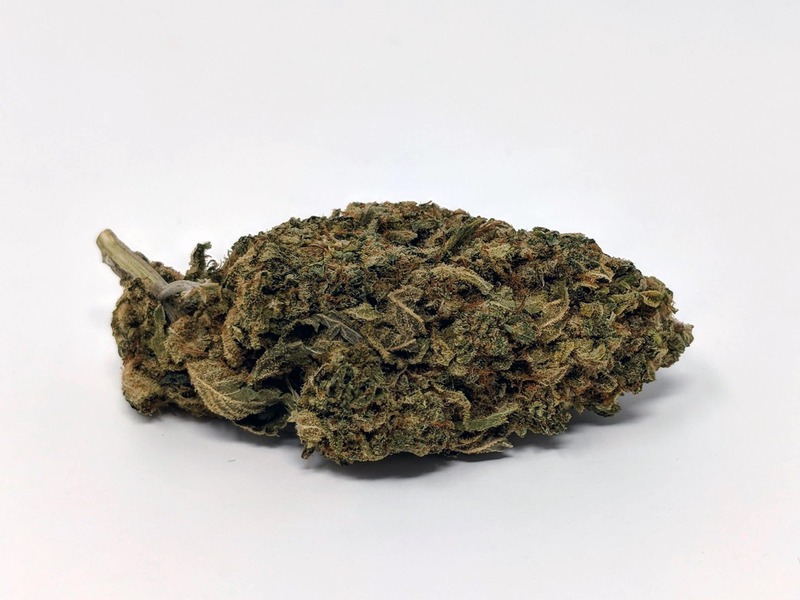 The density, bud structure and pistil coverage all look good, with the bud’s overall appearance not too dissimilar to regular weed you’d buy from a dealer. 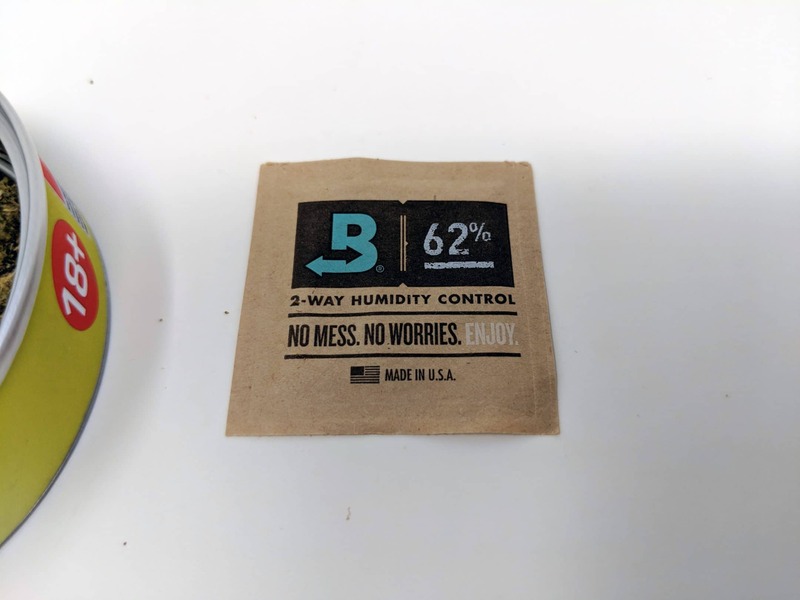 If I had received this sample in a bag under a different name, I would not be able to tell you that this does not contain THC from its appearance alone – it doesn’t look like hemp and is well-developed. The CBD Lemoncello sample doesn’t really smell like lemons. I’m not sure if it is just because the sample is slightly older. 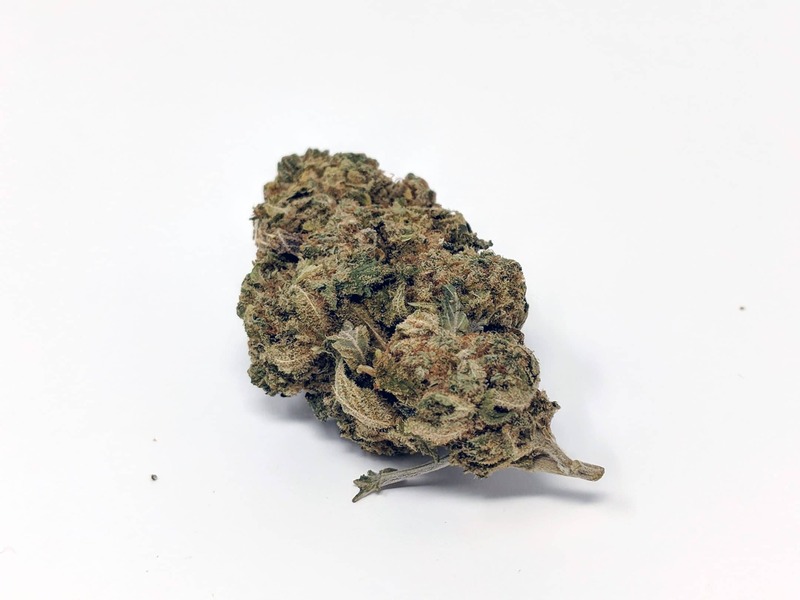 Side note: I have also been told a rumour that the various “lemon haze cbd” flowers you can buy on the market aren’t lemon haze cbd, but various cbd-rich strains marketed by importers to the stores and from the stores to customers. Indeed, some of this CBD flower sells for almost £20 per gram, and at that level, it needs to look the business. I get a not unpleasant, generalised cannabis scent (again, this doesn’t remind me of the smell of hemp) from this bud. The aroma is made a little more apparent when the bud is broken and ground, but not significantly. I could travel with a bud of this in my pocket, and I don’t think people around me would notice. It lacks both pungency and power in its aroma. CBD Lemoncello tastes extremely clean and burns with white ash. The smoke is smooth, but a bit lacking in flavour, though still pleasurable on the exhale. I consumed three bongs during the review video and got the impression that I could have easily consumed several more. No lemon taste is present through my bong, but I do get that generalised cannabis taste from this strain. Notes of wood and some earthy notes come through, but no terp profile is pronounced enough to refer to as significant. With 15% CBD this packs a cannabidiol punch. You’ll consume more CBD in a 1g joint of this (in theory it would be 150mg) than you will vaping a CBD vape cartridge that contains 50-100mg in total where you’d be consuming small amounts of CBD over a long period of time. Smoking three bowls of this I was treated to a relaxed zen that was not inebriating, but rather felt like it could be quite productive. I find CBD helps me with focus, social anxiety and (if I ever need it) inflammation. 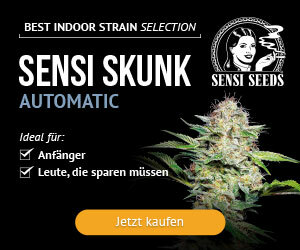 Topically it is also good for burns and dry skin when applied in cannabalm. I didn’t get high from the bowls, but they did make me feel good. I could certainly smoke the CBD Lemoncello in place of regular weed during the day if I needed to for any reason. 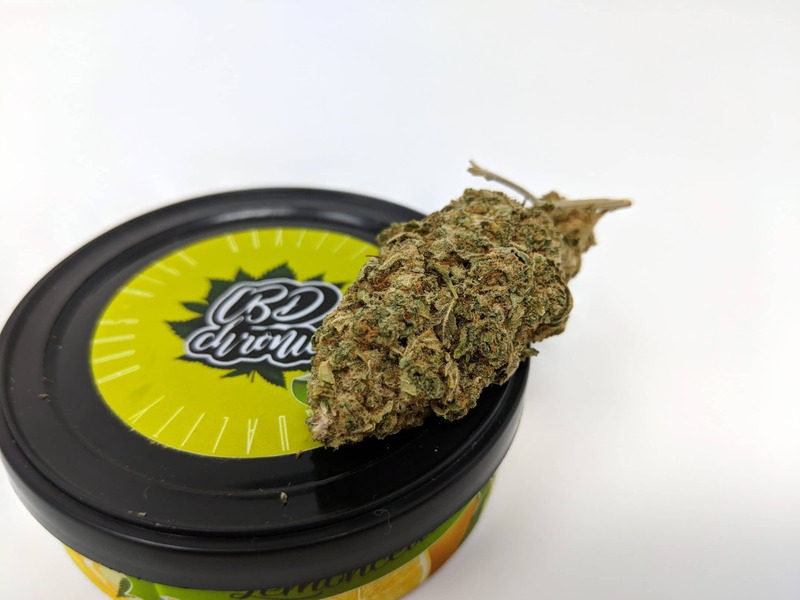 CBD Lemoncello by CBD Chronic UK is a top quality example of what CBD-rich cannabis can be like when cultivated correctly. 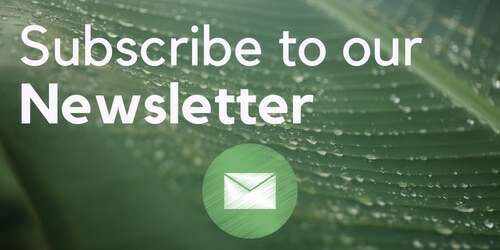 The market has evolved so much in the few years since I first took a look at some hemp tea, with CBD flowers now readily available in a variety of strains and at various prices alongside the extracts. 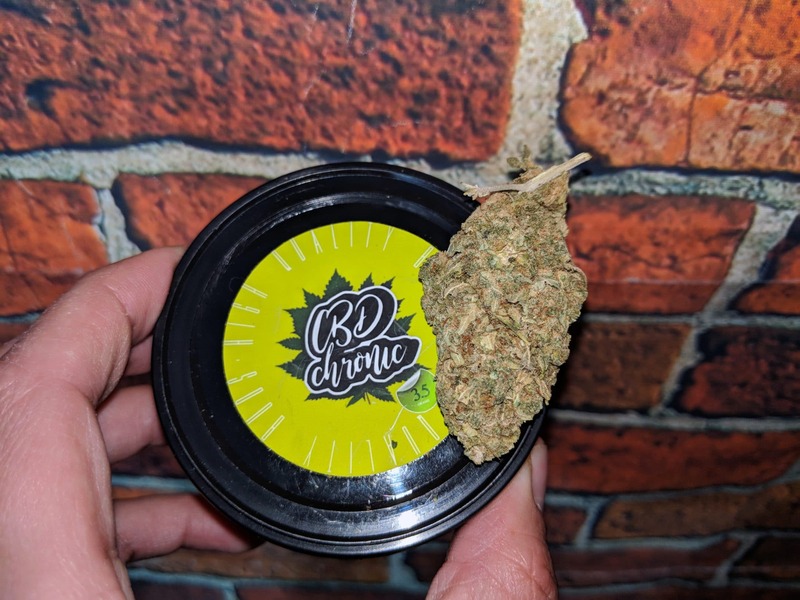 I enjoyed smoking this strain and could certainly find a place for it in my medicine cabinet.